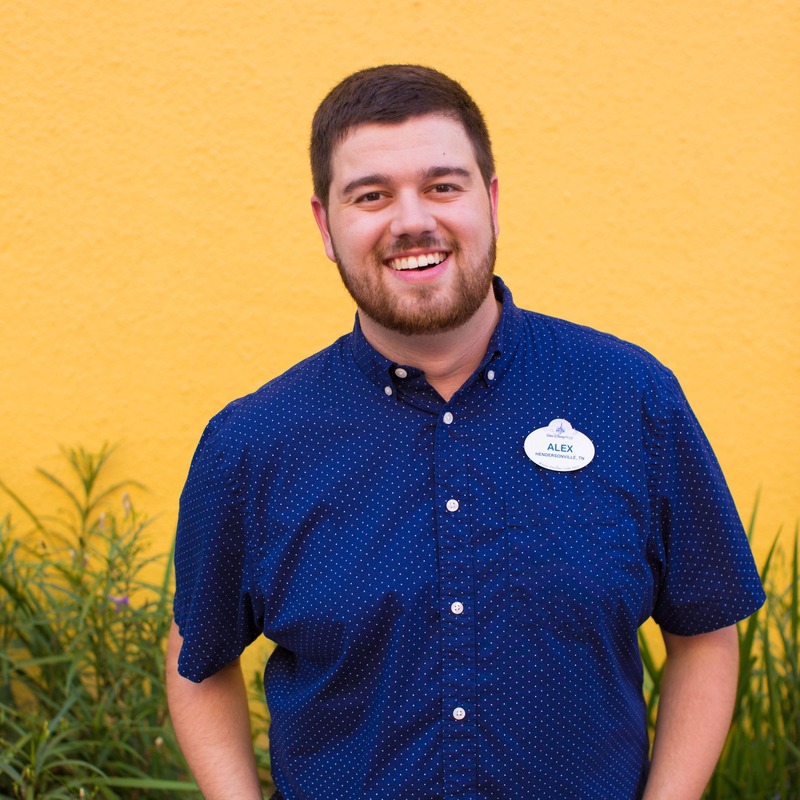 Ladies and gentlemen, boys and girls, step right up to take a closer look at another Disneyland Resort attraction! Over the last few months, we’ve observed artifacts from an archaeological dig site at Indiana Jones Adventure and western details at Big Thunder Mountain Railroad. 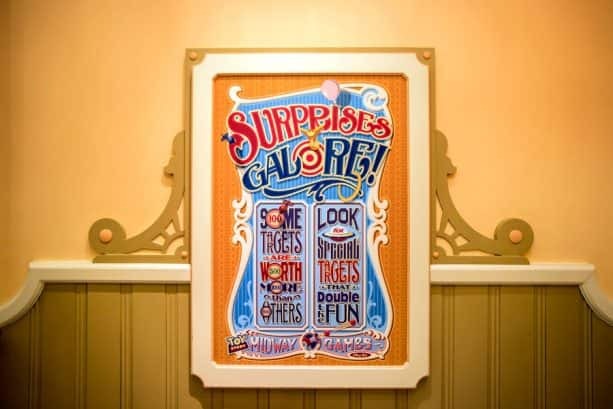 This month we will take a stroll to the boardwalk for a closer look at Toy Story Midway Mania! Toy Story Midway Mania! opened in June 2008 and joined the California-themed boardwalk, which will soon be a part of the new Pixar Pier when it opens June 23, 2018. The Victorian architectural design of Toy Story Midway Mania! celebrates the heyday of the great seaside parks of the early 20th century, while bringing everyone’s favorite Pixar characters to Disney California Adventure Park. 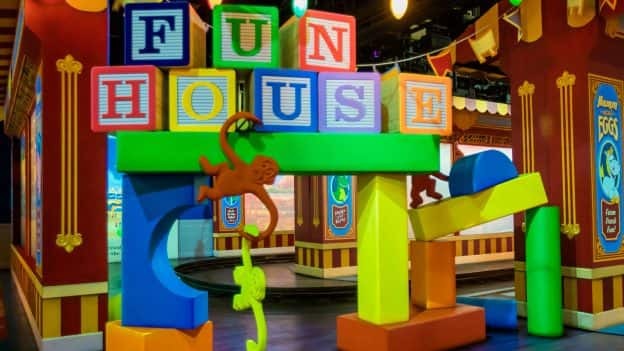 The adventure begins as guests pass through the portal and “shrink” into the toy world. You’ll notice details like the white baseboards along the floor grow from a few inches to nearly four feet high! In addition, the ceiling’s height gives you a toy’s eye view of the attraction. Even wall outlets are larger than life with strings of giant lights plugged into the sockets. 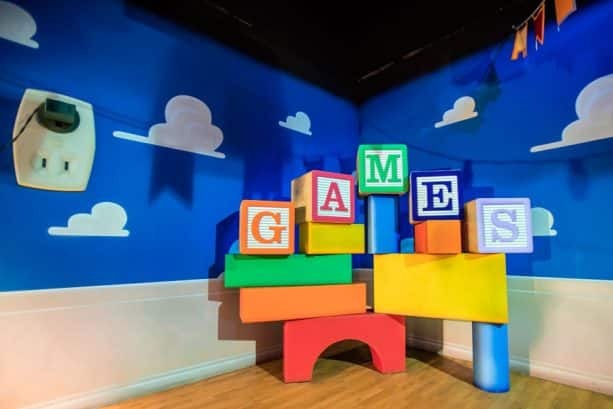 Andy’s toys, games, books and drawings line the walls, occupying every nook and cranny throughout the attraction and creating a toy carnival. There are actually 29 different activities and toys you can identify from the “Toy Story” films—or maybe even your own childhood. Next time you visit, try to see how many you find! Some of the toys have opened carnival booths in between games. 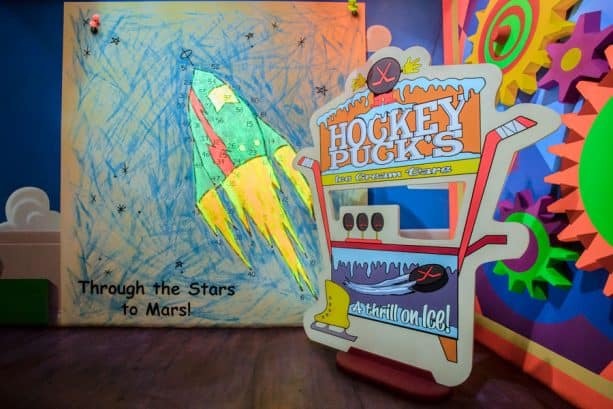 The “Hockey Puck’s Ice Cream” show set towards the end of the attraction refers to a line made famous by Don Rickles, the comedian who voices Mr. Potato Head. There are also certain targets and combinations of targets that, when hit, will trigger hidden surprises that visually affect the gamescape and encourage participants to thoroughly explore all the targets. While riding, be sure to keep an ear out for Rex who is a fan of games and knows a trick or two that will help you out. Toy Story Midway Mania! is open for you to enjoy while Imagineers prepare for the Pixar Pier opening on June 23, 2018. 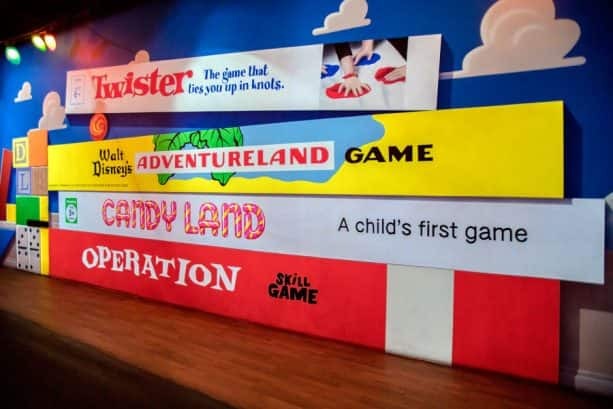 To learn more about this attraction and how Woody and friends came together to put on this game, check out Magic of Disney Parks Storytelling: Toy Story Midway Mania! This is one of our must visits whenever we hit Disney California Adventure!! Love it! 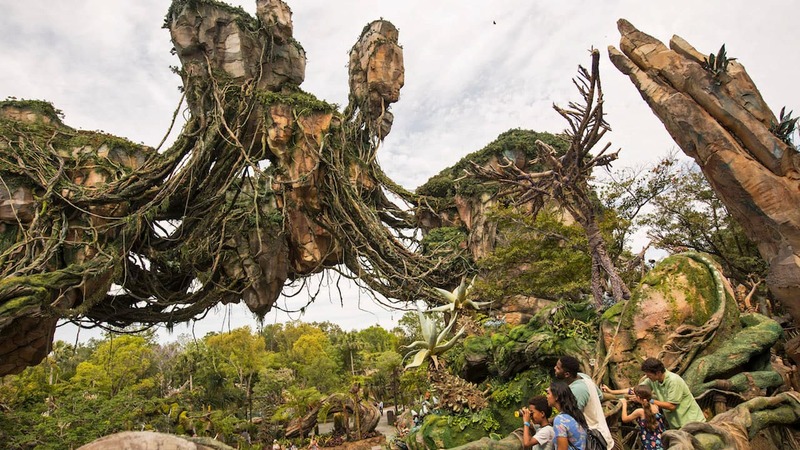 I always love learning about the detail that goes into the making of an awesome ride at Disney like this one!